Triangle B Ranch follows a strict breeding program using Japanese and American best breeding practices. The Ranch uses the following breeding methods. The majority of the ranch’s bulls are bred using the methods set out below. 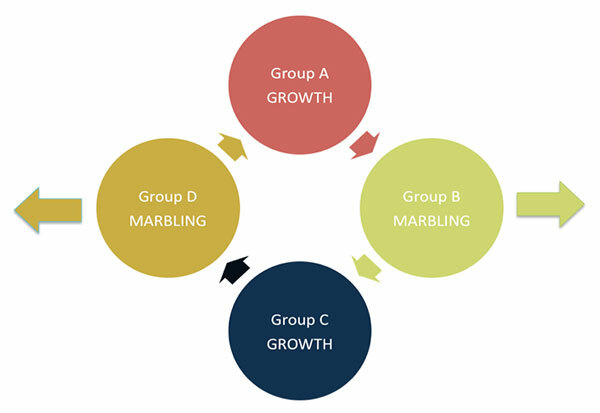 These approaches to breeding bulls provide hybrid vigor in the offspring during Rotational Breeding ™. 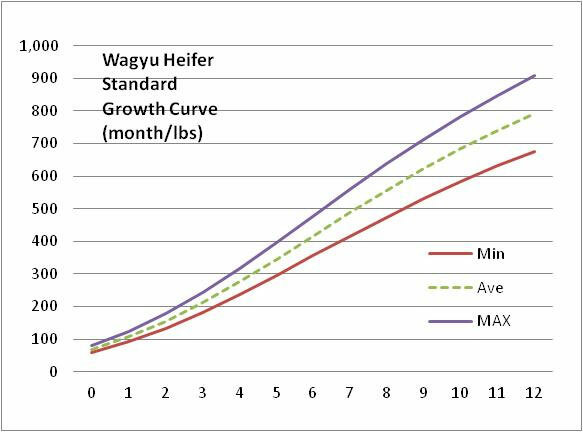 According to Mr. Shogo Takeda, “Super size, good marbling, good milk production, and good calf raising ability are the keys to success in Wagyu breeding!” However, too many breeders are still focusing too heavily on marbling, at the expense of other important traits, “Tajima, Tajima, Tajima,” he said, with understated effect…. Under Mr. Takeda’s four-stage rotational breeding plan, the emphasis is put on building frame score first, and then marbling. Mr. Takeda maintains that a breeding program based on his rotation technique is more likely to deliver the best overall profitability in the long term. For each of the Group: A, B, C, and D, he lists the traits in order of priority and significance.